Our HTML5 training courses will quickly introduce you to the key elements of this widely used language. HTML stands for Hyper Text Markup Language and is the authoring language used in the creation of documents for the World Wide Web. HTML was initially created for use as a universal common document language for the World Wide Web. It indicates the type of information rather than the exact way it is to be presented. The actual presentation is left to the software that converts the contents to a suitable format for viewing. Led by highly experienced HTML trainers with many years of experience our hands-on courses mean that you will leave with practical HTML experience as well as useful tips and tricks. We offer training at our centres in Guildford, London and also at our client’s sites. Many client’s find it more convenient to ask us to come to their site to provide training. This course is useful to both beginners and advanced developers that already have experience in developing web applications. It helps you understand why HTML5 is such a core part of any website development these days. This course is led by a very experienced trainer they tech other programming languages as well, this means they will be able to help answer any questions you have. You will be provided with a book which you aloud to take home with you, you will also get a memory stick which you can put your exercises files on it and take that home to. This way you can practice at home after the training and you will be less likely forget what you learnt on the day. Our trainer is very experienced and can code in more than just HTML so you know you’re being trained by an expert who will be able to answer any of your questions which you might ask on the day. HTML is used for anything web based weather that a website or a web based application they all will use some HTML. HTML is the most common web programming language you will find on the internet. This was first released in 1997 so you want find many people still using it or any websites still being written in it. HTML 3.2 was a mixture of all the previous version of HTML the combined the standards of HTML 2 with the features of HTML+ and HTML 3. It included features such as applets, text flow around images, superscripts and subscripts and tables. It didn’t last long as HTML 4 then was realised the next year. This is the 4 version of HTML and it supports features like style sheets, improved support for mixed and right and left direction text, scripting and richer tables. They also improved the accessibility for disabled people by enhancements for forms. It was also designed with experts in internationalization so that you can easily change your HTML documents into another language. Also in this version of HTML there is better distinction between presentation and document structure. This encourages users to use style sheets instead of HTML attributes and presentation elements. This is the latest version of HTML and was created by the group named Web Hypertext Application Technology Working Group or WHATWG for short. HTML was originally developed by W3C in 2004 but the then focused more on XHTML and XML. This version of HTML is more focused on the requirements of developers who work on web applications and it faces other issues that were in the previous HTML versions. 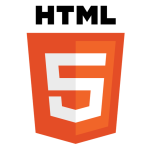 One of the most important features they added in HTML 5 was that they made HTML 5 backward compatibility. Really useful as it was a 1:1 and we were able to tailor to suit my own website needs and make the content very relevant. The resources (book) and being able to work through different tasks alone and with guidance. 1 to 1 training at good pace, able to ask questions. What Is Provided When I Book This Course? 1. Training by a highly experienced HTML trainer. 2. A full colour HTML manual for you to take home. 3. Free parking at our site. 4. Lunch and refreshments through out the day. 5. A comfortable, air conditioned training environment.